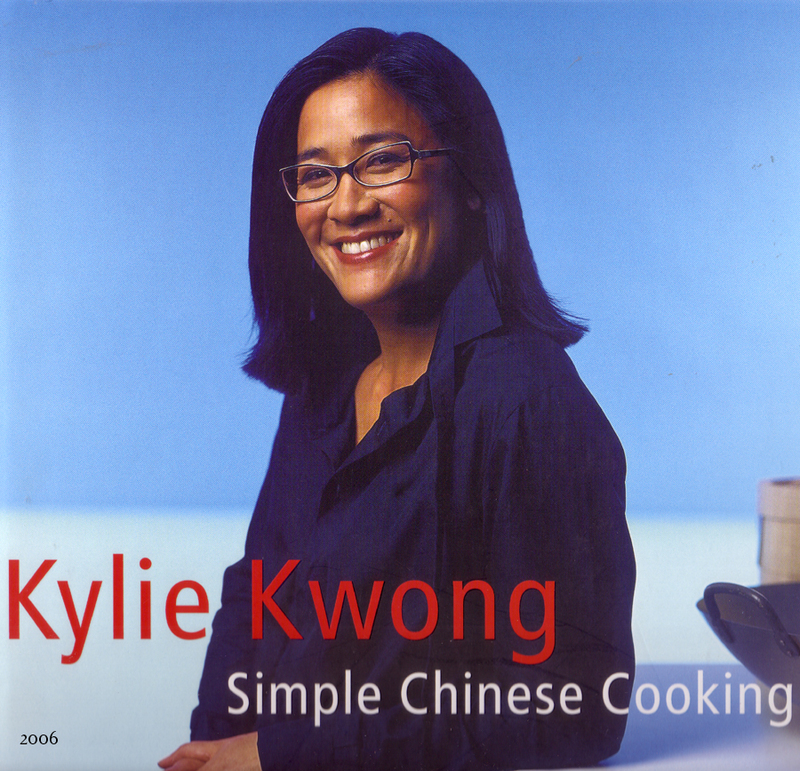 On a tour promoting her new book, Simple Chinese Food published in 2006 by Lantern/Penguin Group Australia and USA, I talked to Kylie Kwong, author, chef, restaurateur, and television star. From Sydney, Australia, she was visiting the United States and promoting its publication. Here is some information, really answers she provided to questions many will want to know about. Her history: I am part of the largest Chinese family in Australia. My great-grandfather Kwong Sue Duk had four wives and twenty four children. He came from Guangdong Province in southern China to Australia in 1875. My parents were born in Sydney and Melbourne. I am part of, that is, I am one in the 29th generation of the Australian Kwong family. Her food: My mum cooked Cantonese food six nights a week. Most of her dishes were rooted in traditional Chinese recipes. My mum influenced my rustic, heartfelt dishes. I worked for Neil Perry at Wockpool. He introduced me to classic French cooking and taught me about running a commercial kitchen serving Western and Italian foods. He taught me how the quality of food depends on your relationship with your purveyor. I take beautiful organic Australian produce and add a personal twist. It is reflective of my upbringing. that of a Chinese brought up in Australia. Her restaurant: Billy Kwong is seventy-seven meters square, very small. We serve modern Chinese food–all organic or biodynamic. My chefs go to the organic markets in the middle of the night to shop. We use no MSG, no hoisin nor any oyster sauce. Three years ago we shifted to organic. It is the most amazing experience for the restaurant to use produce so pure, so perfect in itself. It is like Christmas everyday. I tell my chefs to honor the natural ingredient. Resist the temptation to drown the beautiful ingredient with heavy sauces. Customers love eating the food. It is uplifting energy for the restaurant. Her new book: My book, Simple Chinese Food, makes Chinese food absolutely accessible to you. It is aimed at many people. I tried to simplify traditional dishes to make beautiful food. The book does use sauces that I later gave up after the restaurant went organic. Her Mum: Mum is 67. She learned traditional Chinese cooking from her goong goong. There is a chicken and corn soup in my cookbook. When she makes it, she uses canned creamed corn and thickens it with cornstarch. I make it with fresh corn and use no cornstarch. She likes my cooking and I like hers. Her next project: I just got back from filming in China for a new television series called 'My China, A Feast for the Senses.' It is about food, religion, culture, characters, and stories. Her books in print: Three to date, one is not shown. 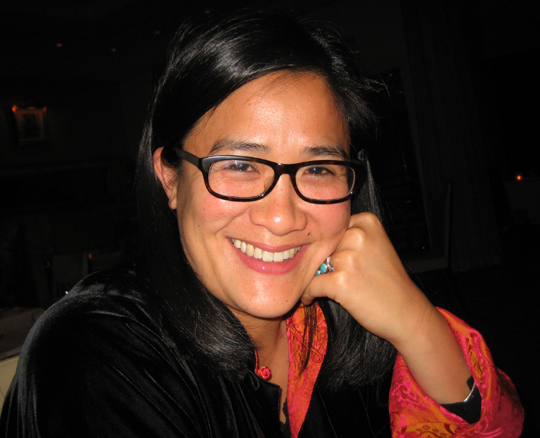 Linda Lau Anusasananan, a food writer and consultant in San Mateo CA, was a food writer and recipe editor at 'Sunset Magazine' until she retired. She worked there for thirty-four years. She advises that in Kwong's book, 'billy kwong' is in lower case letters. 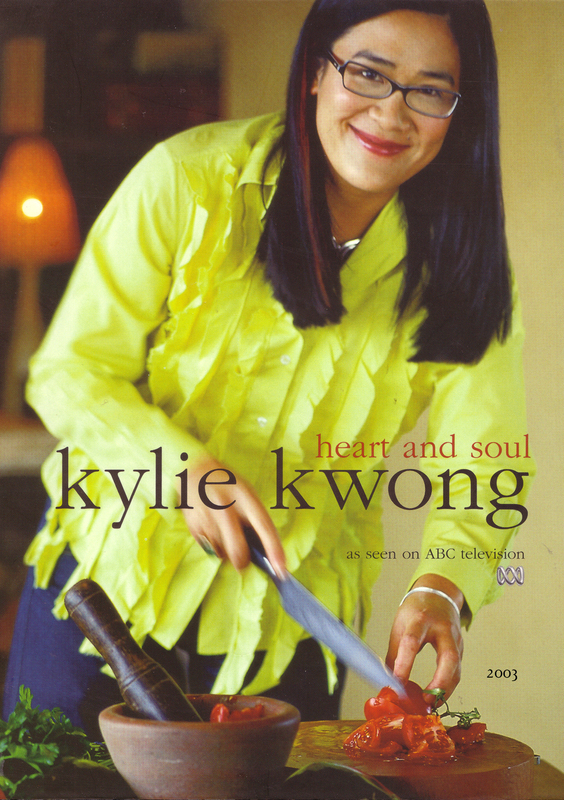 As indicated, she took the first picture of Kylie Kwong; the others are covers of two of her three books, to date.